If a child has severe symptoms of lead poisoning,: such as vomiting or seizures, get immediate help by calling 911. If a child is Suspected of Being exposed to lead, make an Appointment with the child's health care provider or county health department To have a blood test done. The Get the Lead Out! program helps homeowners protect their children from lead poisoning. Lead hazards can be fixed before children are poisoned. Becoming lead-safe is good for your home in many ways, such as new windows, new siding or fresh paint! Do you live in the City of Grand Rapids? Many of the homes in Grand Rapids contain lead hazards that put children at risk. The Get the Lead Out! program provides loans and/or coverage for the repairs needed to ensure safe and lead-free homes. If you meet all of the requirements listed below, you may qualify for the Get the Lead Out! program. Location: The home to be repaired must be located in the city of Grand Rapids. Age of Home: The house must have been built before 1978 and have lead-based paint hazards. Income: The income for all persons residing in the home must be below 80% of area median income. See income limits below (effective 4/11/18). Children: There must be a resident child 0-5 years of age who lives in the home. Children in regular daycare and pregnant women are included. Call for more details. No repayment for homeowners who stay in their homes for 5 years. Get the Lead Out!, through the City of Grand Rapids Lead Hazard Control Program, provides up to $20,000 in repairs for households citywide. This includes paint repair, new windows and other lead hazard elimination practices. For homeowners who stay in their homes for five years, no repayment is necessary. The grant is secured by a self-amortorizing loan, so those who move out sooner than five years will need to repay a prorated portion of the grant. Your home may also be eligible for additional free repairs for health and safety items based on a full-home assessment. Call for more information. Call Healthy Homes Coalition at (616) 241-3300 or complete this intake form and email it to jackie@healthyhomescoalition.org. If you would like to get started on your application package, it can be downloaded here. Do you live outside of the City of Grand Rapids? 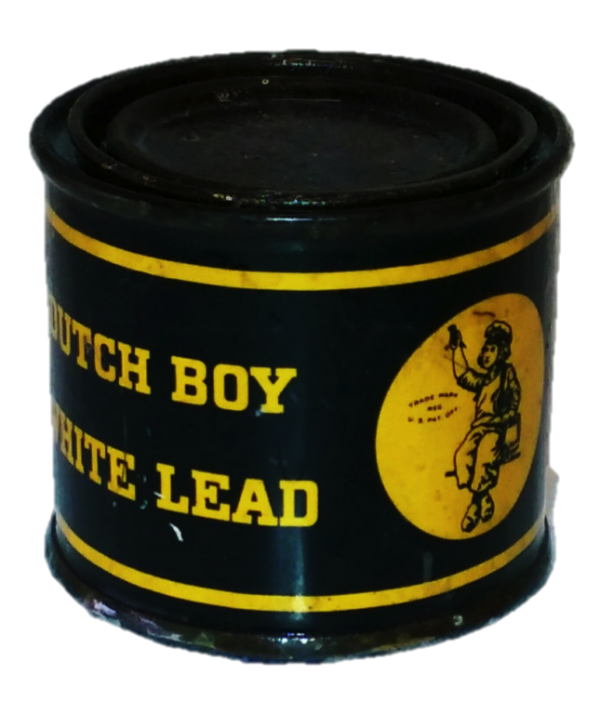 The State of Michigan’s Lead Safe Home Program offers lead removal to any Michigan household with a child whose blood lead level is at least 5.0. Households without a lead-poisoned child may also qualify. Call the Michigan Lead Safe Home Program at (866) 691-5323 or download an application here. Lead inspections and removal are included in City of Wyoming’s Homeowner Housing Rehabilitation Program. Affordable home improvement loans are available for low- to moderate-income households. See more details. Call (616) 530-7266 to request a loan from the City of Wyoming Planning and Development Department. Kent County Community Development can help homeowners in the City of Kentwood and other communities throughout Kent County. The Kent County Housing Rehabilitation Program offers deferred payment loans and grants for hazard abatement, including lead removal. See more details and how the program works. Call the Kent County Community Development Department at (616) 632-7410 to complete a pre-application process by phone OR submit a pre-application online. Muskegon County Land Bank Authority has a Lead Hazard Reduction Program. Call (231) 724-1259 to see if your household qualifies. The City of Grand Rapids' Lead Hazard Control Program provides assistance eliminating lead hazards. After a decade of decline, the number of lead-poisoned children in Kent County has risen for the second year in a row. Recent data released by the Michigan Department of Health and Human Services (DHHS) shows a 40 percent increase in lead-poisoned children in the 49507 zip code during the past two years. According to the data, 617 Kent County children had elevated blood-lead levels in 2016 – the most recent year for which data is available. 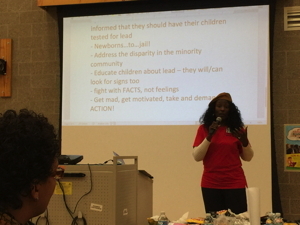 Why lead poisoning is on the rise in Kent County, and particularly in Grand Rapids – and what can be done about it – was the subject of discussion and debate at the Oct. 30 event held at Dickinson Academy on Grand Rapids’ southeast side. When Grand Rapids resident LyRee Adams’ young daughter tested positive for lead a decade ago, she later learned the poisoning likely occurred from lead-based paint flaking from windows in the home she was renting. She immediately got appropriate medical care for her daughter before the child was permanently harmed – and Adams also went directly to her landlord and worked with him to get the lead hazard out of the home.